The Cuisinart Cast-Iron Double Burner provides extra countertop cooking options for parties and holidays. The large plate features 1300 watts of power, and the small plate has 500 watts for quick heat-up. The separate 6-setting temperature control for each burner offers complete versatility, the lower settings keep foods warm, while the higher settings cook an entire meal. 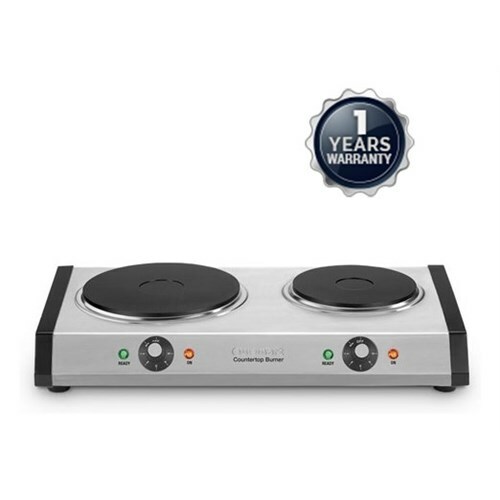 The Cuisinart Countertop Double Burner has many exciting features for users of all types. See the Cuisinart Countertop Double Burner gallery images above for more product views. 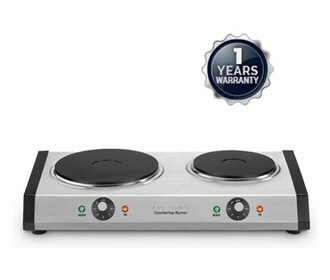 The Cuisinart Countertop Double Burner is sold as a Brand New Unopened Item.